The Dodgers have made their mark in Cuba the last couple of years. They signed Yasiel Puig in June of 2012, drafted Onelki Garcia in the 2012 MLB Draft and signed Alexander Guerrero in October. 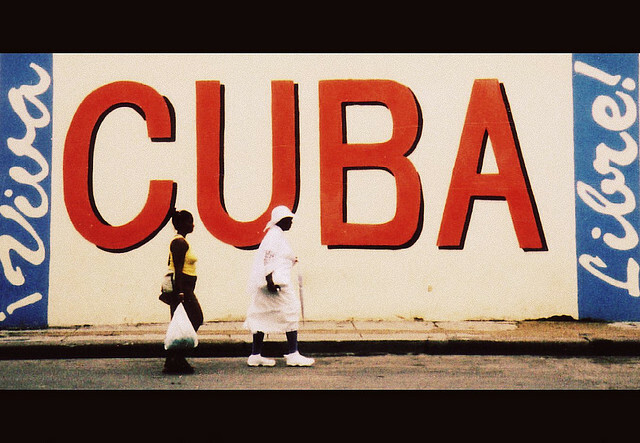 Now, they have their sights set on more Cubans. Jesse Sanchez of MLB.com reported Friday catcher Yenier Bello was cleared by the Office of Foreign Assets Control and could now officially sign with any team at any time. He also reported later in the day pitcher Odrisamer Despagine was also cleared by OFAC. He suggested teams that missed out on Masahiro Tanaka could be interested in Despagine (though, Despagine is nowhere near as good as Tanaka). Ben Badler reported Thursday Ned Colletti attended a private workout for potential utility man Rusney Castillo. And the Dodgers have been linked to shortstop Aledmys Diaz, who can’t sign until Feb. 19 (at the earliest) because he tried to circumvent MLB’s age limitation by submitting false paperwork. The Dodgers have a history of scouting in Mexico, which is where Bello and Despagine have been. They went to Mexico to see Puig, while also securing Julio Urias. It makes stands to reason they’ve seen these guys in action recently. The 28-year-old catcher is a stout 5’11, 225 pounds who’s carrying tools are his power and his arm. Some think he could be a regular, some think he’s a non-prospect. He hit .274 with 13 home runs in his final year playing Cuba’s top league, Serie Nacional, in 2011. His offensive ability might not translate well to the majors if he’s flashing barely a 50 hit tool in Cuba. He’ll have to hit for some more pop to justify signing him. If the Dodgers were to sign him, it’d create a logjam at the Major League level. A.J. Ellis is firmly entrenched as the starter (as well he should be). Tim Federowicz is a solid backup, even if he needs to improve his pitch-framing (as does Ellis). But if the Dodgers were to bring in Bello, it likely wouldn’t be to play at Triple-A (except maybe to get acclimated to Major League Baseball). Federowicz has one option remaining, and Ellis isn’t close to hanging up his gear. If the Dodgers sign him, it’s a clear sign to Federowicz that his days in Los Angeles would be numbered. He’s 26 years old and is listed as an outfielder — center field, to be more specific. Oh great, another outfielder? Well, it seems Castillo also has experience playing second- and third base, something that should intrigue the Dodgers greatly. He’s only 5’9, 185 pounds, so it’s tough to see his bat playing well enough to be a full-time third baseman. He has yet to be cleared, so it could be another couple months before anything happens on this front. That would probably prevent him from beginning the season in LA, if the Dodgers were to sign him. When I heard the CF/2B/3B profile, I thought of Emilio Bonifacio. If Castillo could be anything close to Bonifacio, he’d be a worthwhile sign. He should have more pop than Bonifacio, but less speed. This is not the Despagine you’re looking for (that would be Alfredo), but he profiles as a solid pitcher from a country that doesn’t always produce quality pitchers (at least recently). For instance, Miguel Alfredo Gonzalez, who wound up signing with the Phillies last year, is probably a better prospect than Despagine. And it’d be surprising if he ended up being anything like his countrymen Livan Hernandez and Orlando Hernandez. He’ll be 27 years old shortly after opening day, and he hasn’t dominated much in Cuba. Aside from one pretty good season (2011-12, 2.60 ERA, 6.2 K/9, 2.6 BB/9, 0.3 HR/9), he’s been rather pedestrian. He has a low-90s fastball, a curveball and a changeup. Reports are he throws his pitches from many different arm angles, as to maximize the effectiveness of them. However, that could be the reason he didn’t exhibit good control and command. Still, with starting pitching at a premium, Despagine might be worth a look — but I don’t think he’ll end up in LA. The now-23-year-old could be the best of this quartet. The Dodgers reportedly had interest in him last winter before he got in trouble. Diaz profiles as a true shortstop with enough glove to stick at the position in the majors. If he does, his bat could end up being above-average. He hit .307/.401/.440 in 1,122 career at-bats in Cuba in his age-19 through 22 seasons. As the youngest player here, he posted the most impressive offensive numbers. 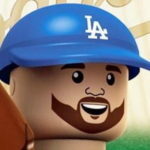 The only issue with the Dodgers going after him is where to play him. Sure, they could play him in the minors for 2014, but what about after that? He’ll be 24, ready for Major League action and blocked at shortstop by Hanley Ramirez (assuming he gets extended/re-signs), at second base by Guerrero and third base by Juan Uribe (who will be in the last year of his deal). Despite that, I’d take a significant flyer on him. Talent is talent, and a farm system can never have enough of that. Of the four, Castillo is probably the most likely to sign, mainly because Colletti made a special effort to attend the private workout. Bello could sign because the Dodgers’ catching depth is non-existent. My hope is the Dodgers sign him and Diaz, as they seem to provide the most talent and fill a couple of needs for this year and beyond. One thing’s for certain: every one of these guys have plus-plus names, with Despagine’s name an easy 80. Previous Dodgers Bring Back Trayvon Robinson, And Remember When He Mattered?